Spacious 3 bedroom home on corner lot conveniently located near shopping & entertainment. Large master boasts walk-in closet, en-suite w/ jacuzzi tub. 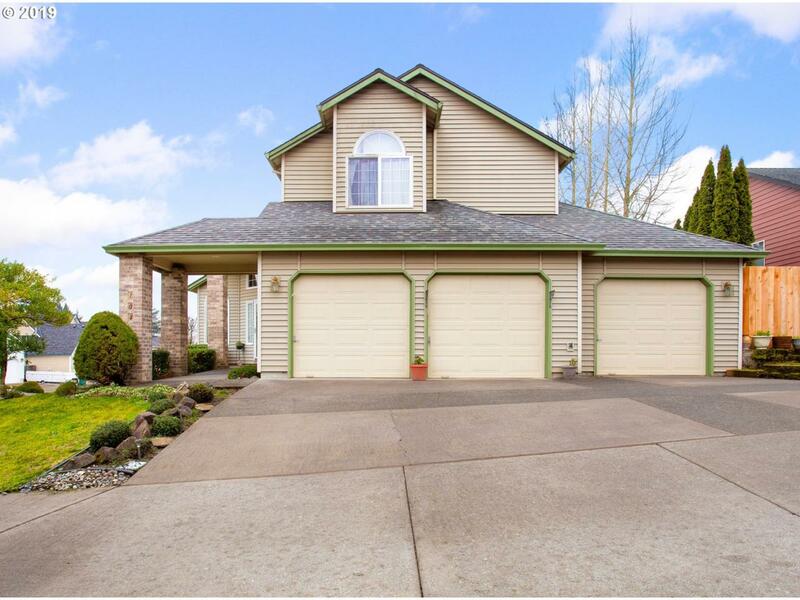 Features granite & SS appliances in kitchen, central vac system, 3-car garage w/ extra storage, ample parking & newer roof. Enjoy amazing sunrises & view of Mt. Hood from the fully fenced backyard w/ water feature, raised flower beds & covered deck. Listing provided courtesy of Front Door Realty.